Further down the road another cleric stands on a chair holding a Quran over the heads of passing crowds, blessing them as they march in the thousands towards the shrine of Hazrat Imam Hussain (AS) in Karbala, central Iraq. A tailor is also working diligently, sewing up torn clothes for free. And if anyone needs a money pouch, he can rustle one up from scratch in a matter of minutes. Some 1.8 million Iranians have been given Iraqi visas to make the pilgrimage to Karbala for the holy festival of Arbaeen this year — and many will pass on foot through the border point at Mehran. 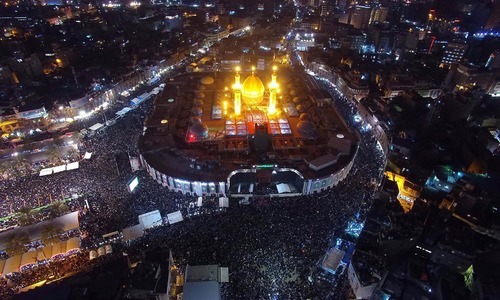 Arbaeen, which this year falls on October 30, marks 40 days after the martyrdom in 680 of Hazrat Imam Hussain (AS), grandson of the Prophet Muhammad (PBUH) who refused to accept the leadership of the "usurper" caliph Yazid and was massacred along with his followers at Karbala. Most of the devout walk all or part of the way to the shrine, one of the holiest sites in Shia Islam. For the many hundreds of devout volunteers who run "mokebs" — tents that hand out free food and services —their work can feel even more sacred than the pilgrimage itself. "There is no higher sawab (divine reward) than to serve on the path of the Imam," says Mohsen Mohebbi, a cleric from the holy city of Qom, busy polishing shoes. 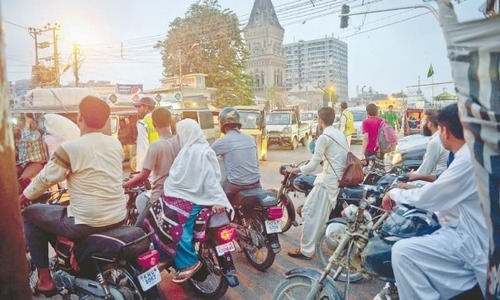 As well as huge numbers from Iran, many Shias are also passing through from neighbouring countries including Pakistan, Georgia and Azerbaijan. "As long as they are marching towards Hazrat Imam Hussain (AS) I will kiss their feet." The march was forbidden for many years under former Iraqi dictator Saddam Hussein, who fought a devastating war with Iran in the 1980's. Restrictions were only lifted after his ouster in 2003. 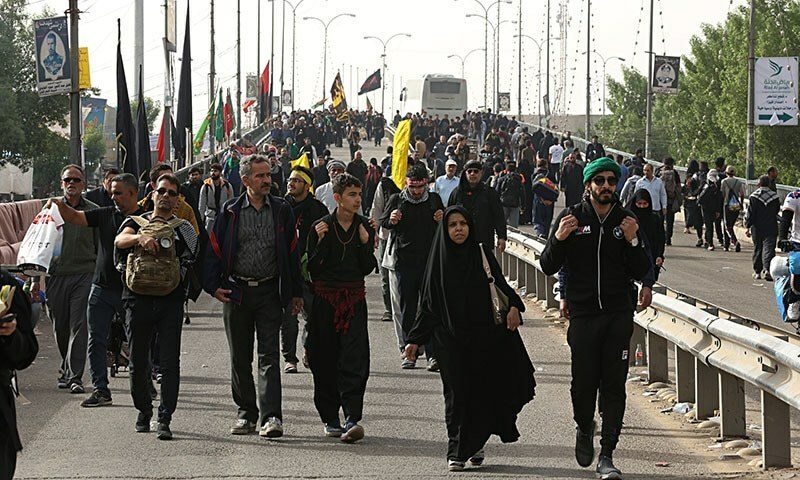 With the formation of a new Iraqi state, where the post of prime minister is held by a Shia, the march quickly became one of the most popular pilgrimages in the world. "This is a march of unity and solidarity among Shia and Sunni, Persian and Arab, people from all strata and walks of life," says Mohammad Taghi Ganji, a 46-year-old cleric from Semnan province. 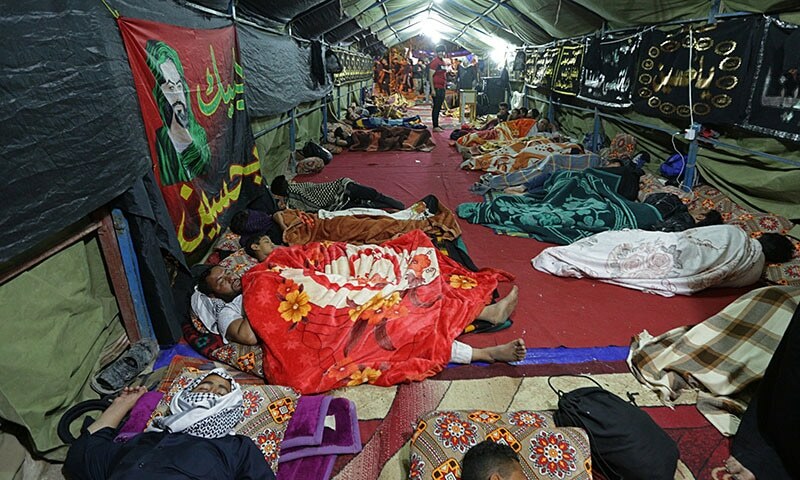 "The cursed Saddam closed the path (to Hazrat Imam Hussain's (AS) shrine), but now look where he is, and Arbaeen is stronger than ever," adds Ganji, whose tent was staffed by volunteers from a local branch of Iran's Revolutionary Guards forces. "Whenever enemies closed a door on us, Hazrat Imam Hussain (AS) himself opened another path for us." Prayers for all the pilgrims and volunteers. 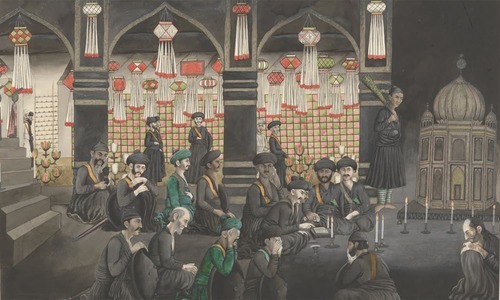 Iranians - are known to render hospitality and respect to fellow humans. You can term as mournning procession or peace walk but not a festival. Good on all the pilgrims.